Nevada small businesses are positioning themselves for growth with the third best credit scores in the country, according to Nav, a California-based online financing marketplace. Nevada small businesses are positioning themselves for growth with the third-best credit scores in the country, according to Nav, a California-based online financing marketplace. In pouring through the Experian business credit score reports based on the average of 15,500 businesses from across the country, Nav reported Nevada had a 48.8 score on a scale of 1 to 100. Iowa was second at 49.2, and Vermont ranked No. 1 at 51.7. The only neighboring state in the top 10 was Utah at No. 6 at 46.3. “Nevada hit the business credit-score jackpot, beating out all but two other states in the nation,” Nav said on its web site in promoting its list. Nebraska was ranked last in the nation at 34. Montana and West Virginia were ranked just above the Cornhusker State. The company also cited the No. 1 ranking of Nevada by the Small Business &Entrepreneurship Council, showing small business owners are less burdened by taxes and regulations. Despite the highlights of Nevada business in the report, it also cited concerns about the “boom or bust persona” of Las Vegas when it comes to personal credit – an important factor for someone starting a business and for business owners in getting financing. Nevada has the third-worst personal credit in the country with an average of 650. That would include all people, business owners and non-business owners, according to Caton Hanson, founder and chief legal and compliance officer of Nav. 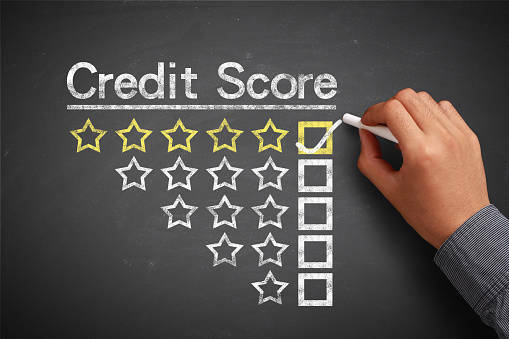 “For business owners with strong enough business credit scores and financials, they may be able to overcome personal credit flaws when applying for lending,” Hanson said. The Experian business credit score is the business equivalent of a personal credit score, Hanson said. It has trade lines of loans, lines of credit and credit accounts. Nav said a state’s report like in Nevada is an average compared to the other 49 states. Nevada’s score on a scale of 1 to 100 is considered a low to medium risk, Hanson said. Hanson said Nevada’s favorable regulatory and tax environment has helped the state’s business credit score. It’s one of the reasons so many people incorporate in Nevada compared to other states, he said. “When it comes to running a small business, it’s good news to have a business credit score that’s near the top in the nation as well the top business regulatory environment,” said Jared Proctor, head of content at Nav. But Proctor pointed out that unless small business owners have a long credit history, their personal scores will play a role in their ability to get financing and insurance. “It’s great news relative to the rest of the country, but the personal credit can be a headwind as far as Nevada’s businesses’ ability to finance at affordable rates and continue to grow their business in general,” Proctor said. Hanson said a problem with business credit isn’t an automatic decline or red flag when it comes to financing. It’s the personal credit of that business owner that could end up being the issue over getting financing, he said. Small business owners nationwide tend to have worse personal credit scores than the general public because they are using personal funds to finance their business, Proctor said. “If you’re maxing out your personal credit to pay your business expenses, your personal credit is going to get a ding,” Proctor said. Hanson said Nevada’s poor scores when it comes to personal credit have a lot to do with the crash in the economy and housing market. There were a large number of foreclosures, and debt ratios were negative on personal credit, he said. Those with trouble with their credit scores won’t be able to obtain traditional financing but seek other more costly alternative forms, Hanson said. He said the finance market could improve and more funds be made available to businesses if the economy grows, taxes are cut and regulations eliminated. “Whether Trump is your guy, the next four years are going to be good for small business owners,” Hanson predicted.